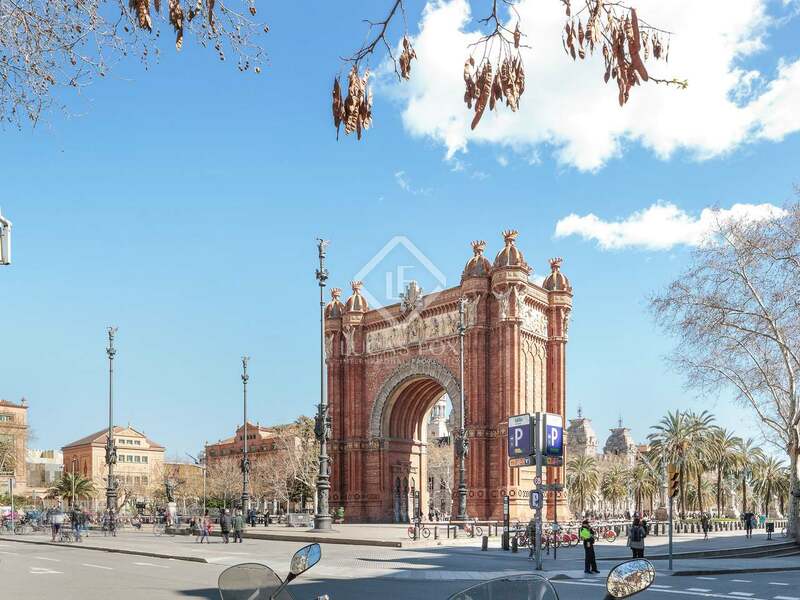 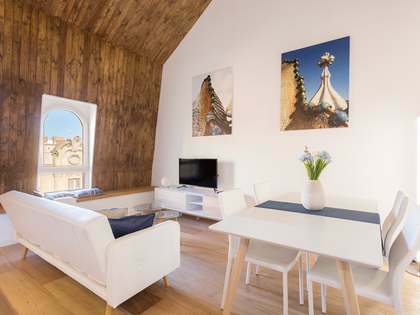 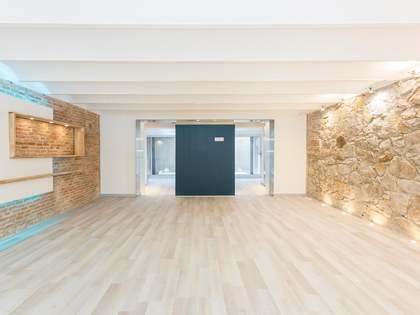 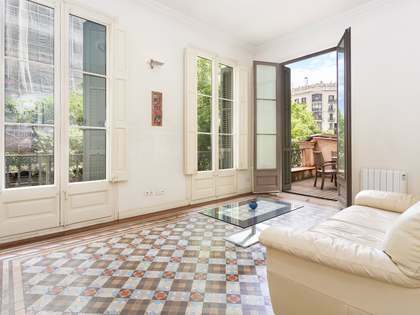 Apartment for sale on Carrer Trafalgar, just a few metres from Arc de Triomf and Ciutadella Park. 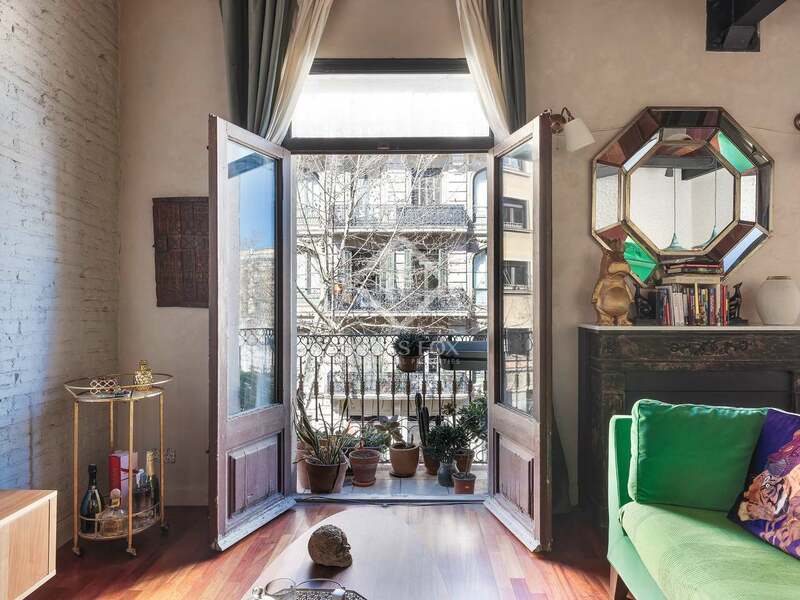 This attractive apartment is on the second floor (real height) of a stately building without a lift, although it would be possible to install one. 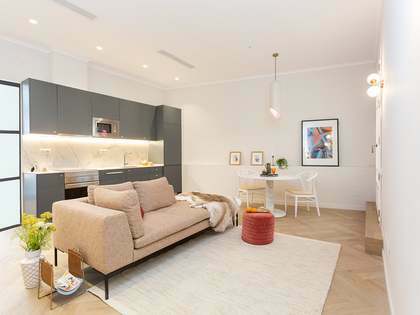 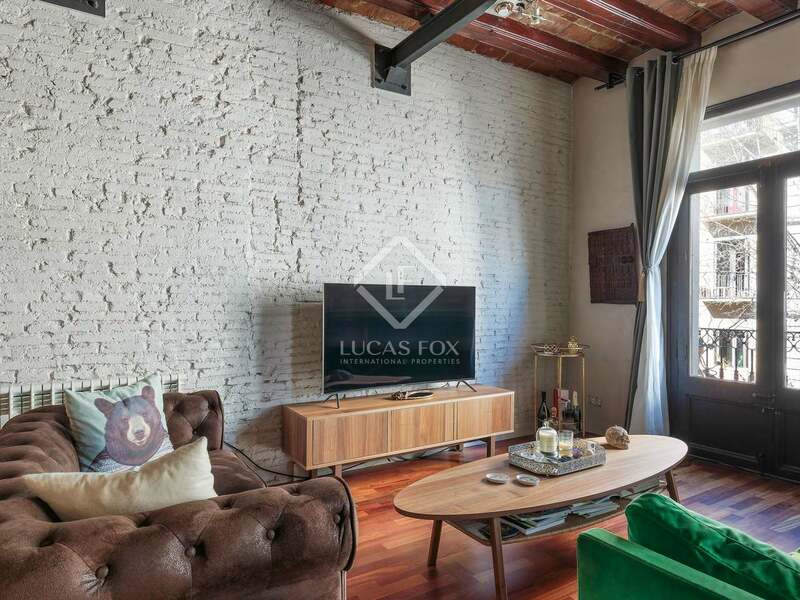 It measures 111 m² and currently consists of a large living room with an open kitchen and beautiful vaulted ceilings complimented by the wooden flooring and 2 balconies overlooking the street. 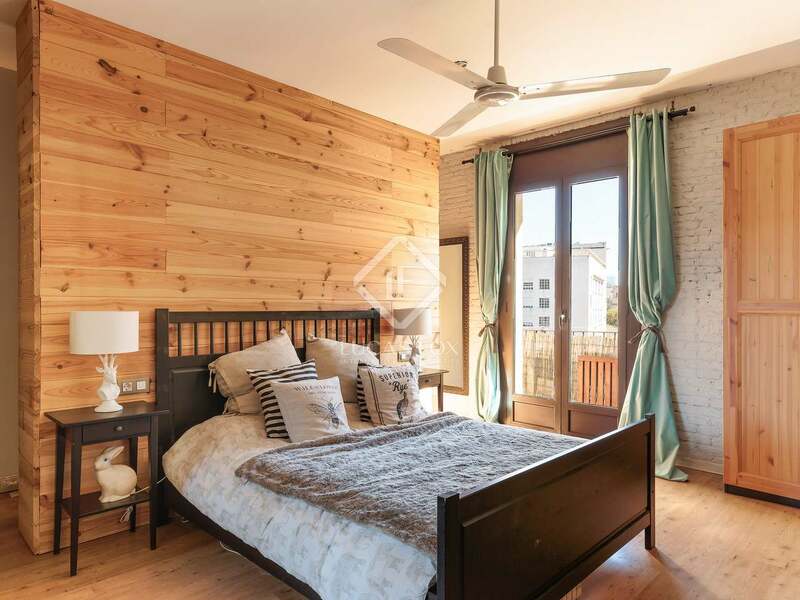 It also has a double bedroom with a dressing room, a large bathroom and a balcony over the interior patio. 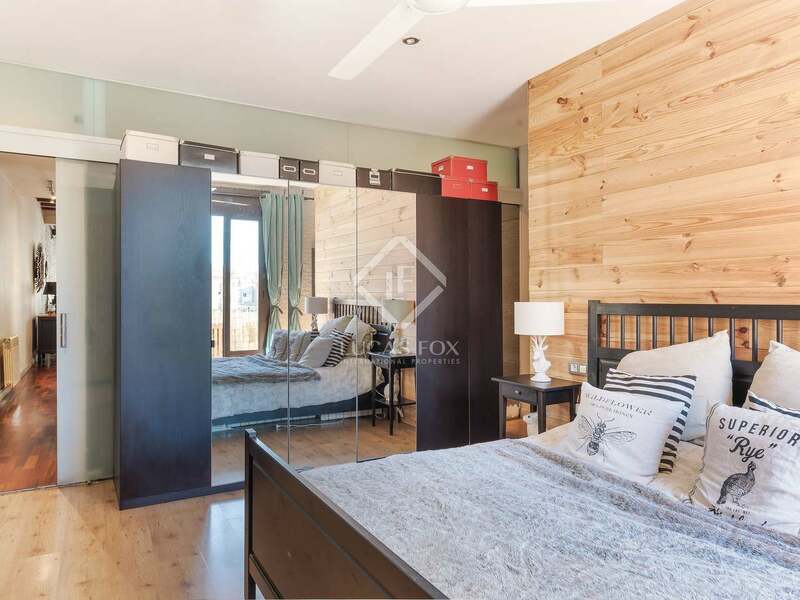 It would be possible to create a second bedroom if required as there is plenty of space. 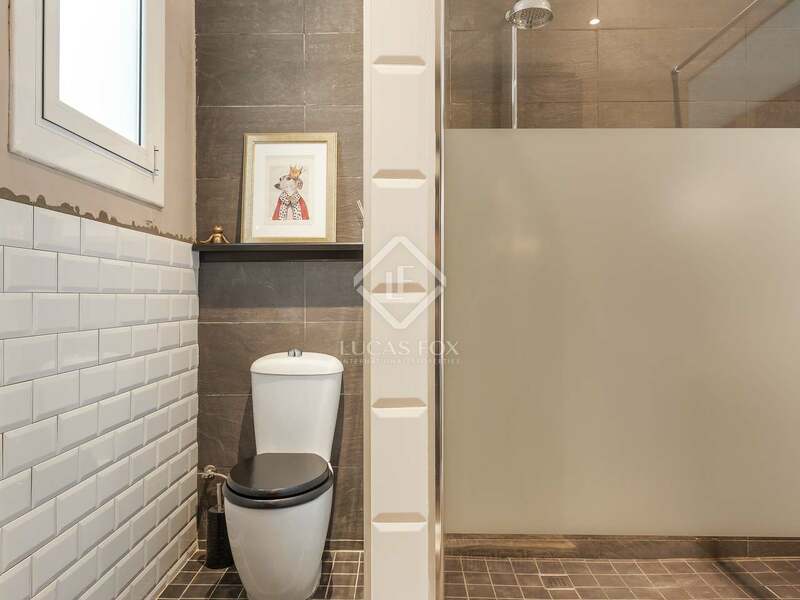 The property is presented in good condition and only requires a little updating. 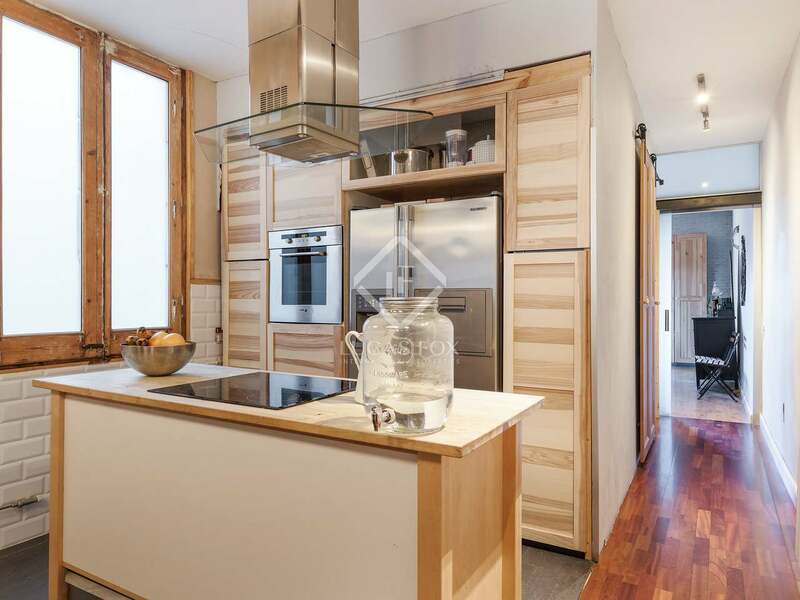 It has potential to become a great modern 1 or 2-bedroom home in a prime city location. 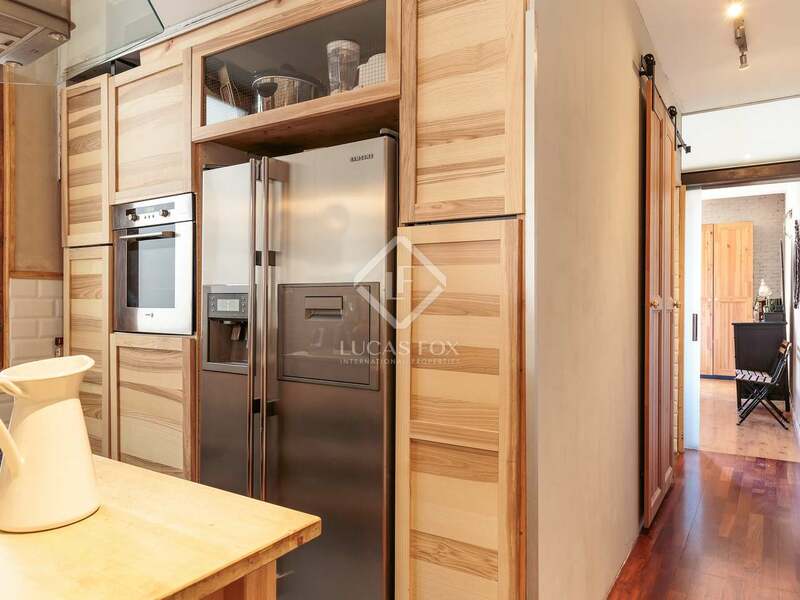 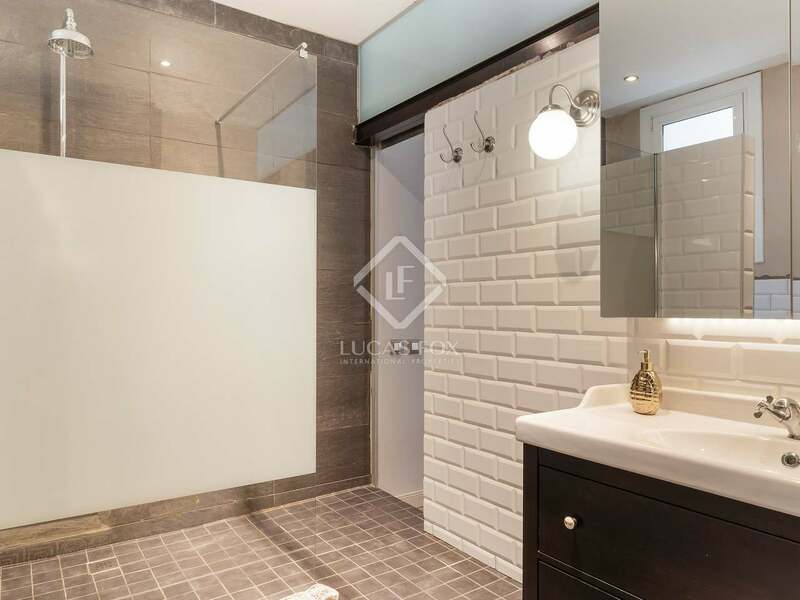 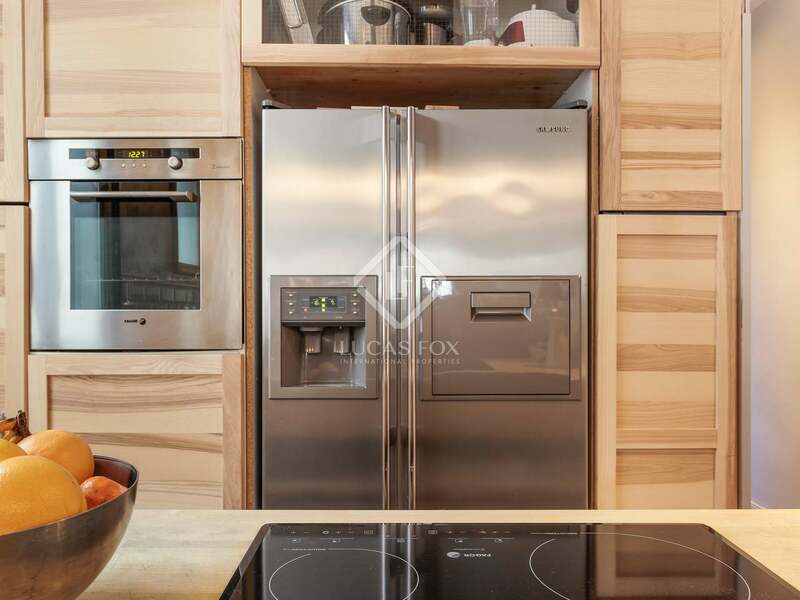 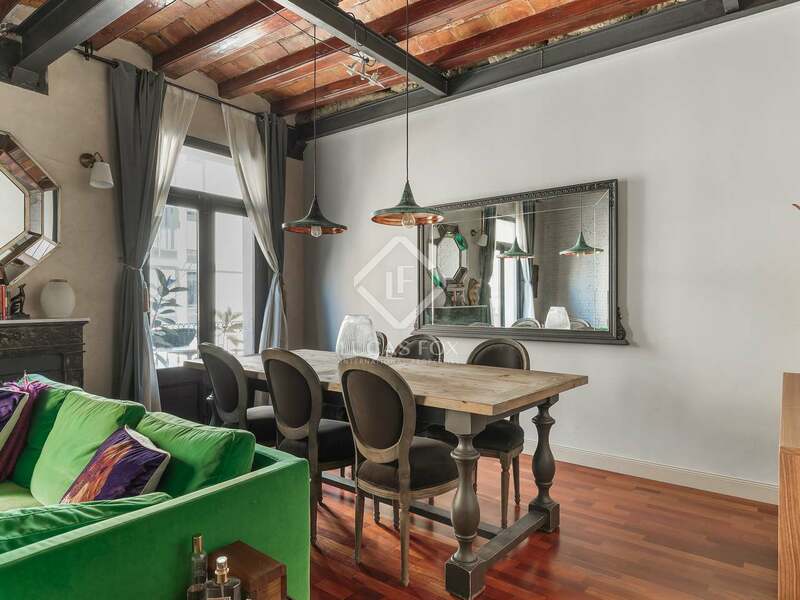 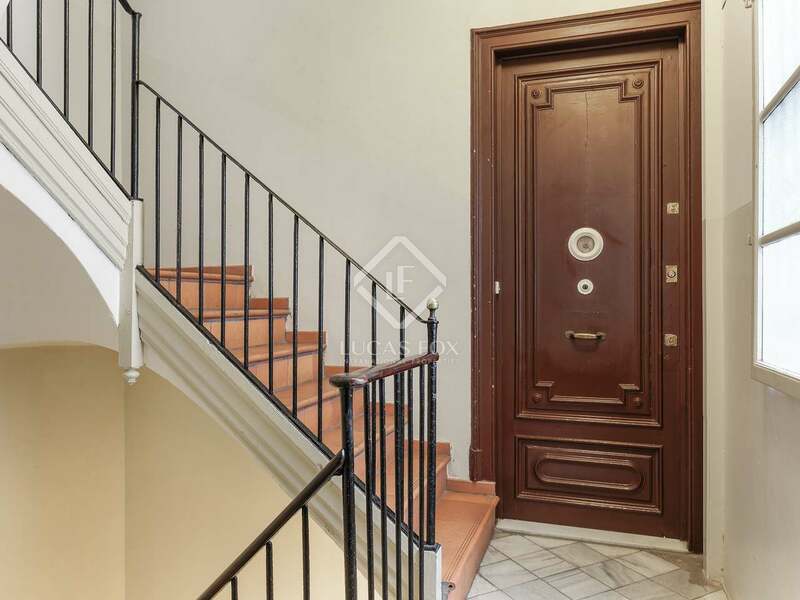 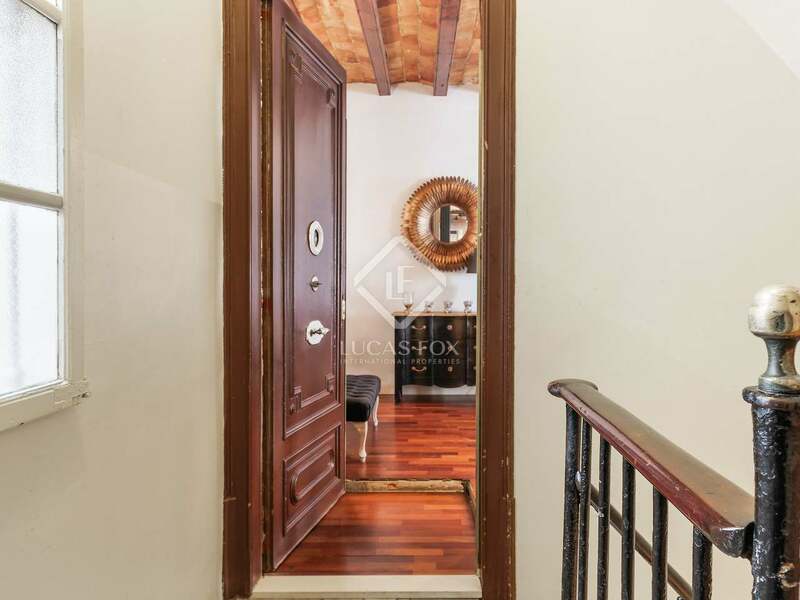 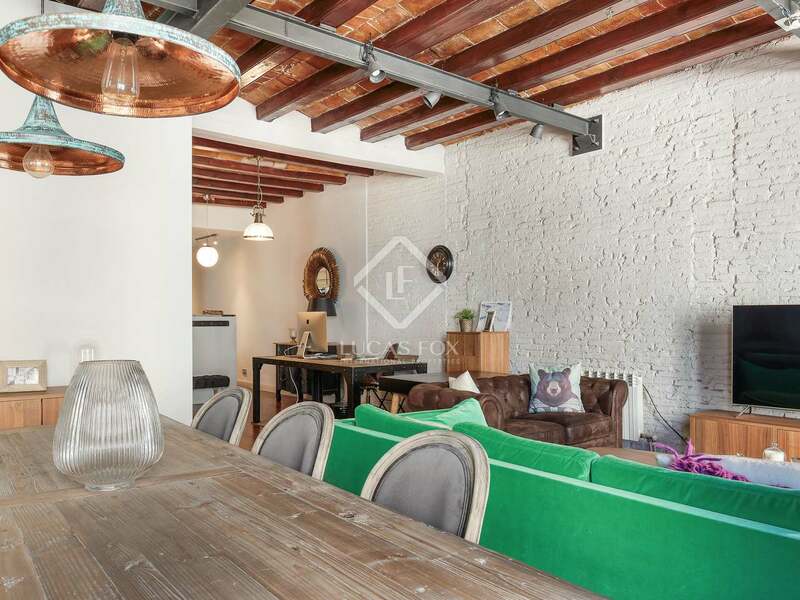 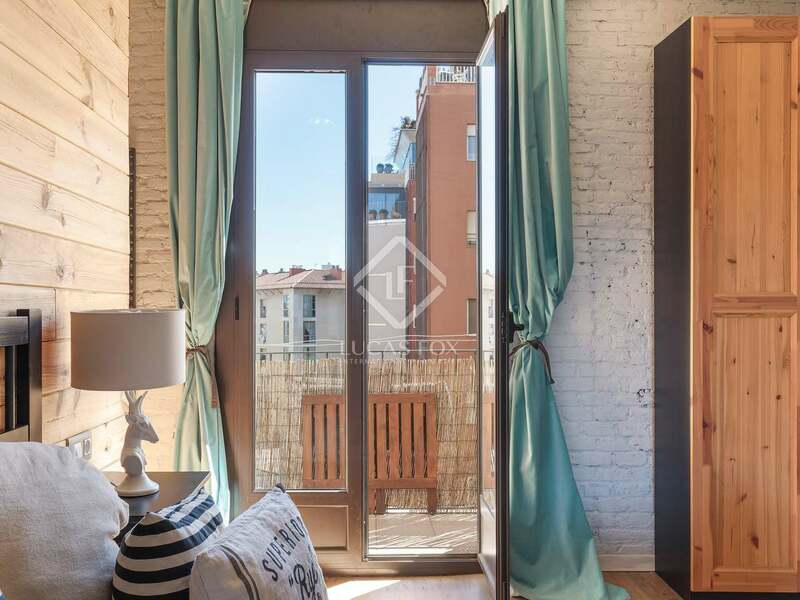 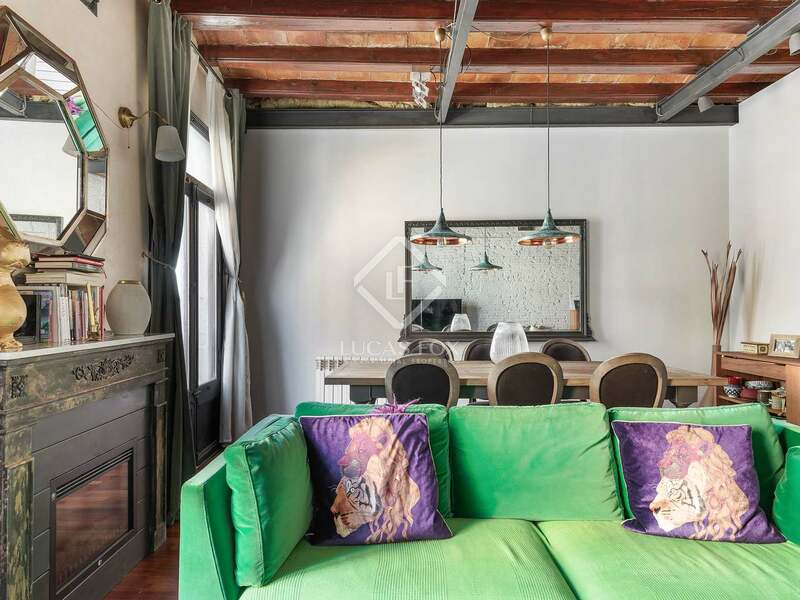 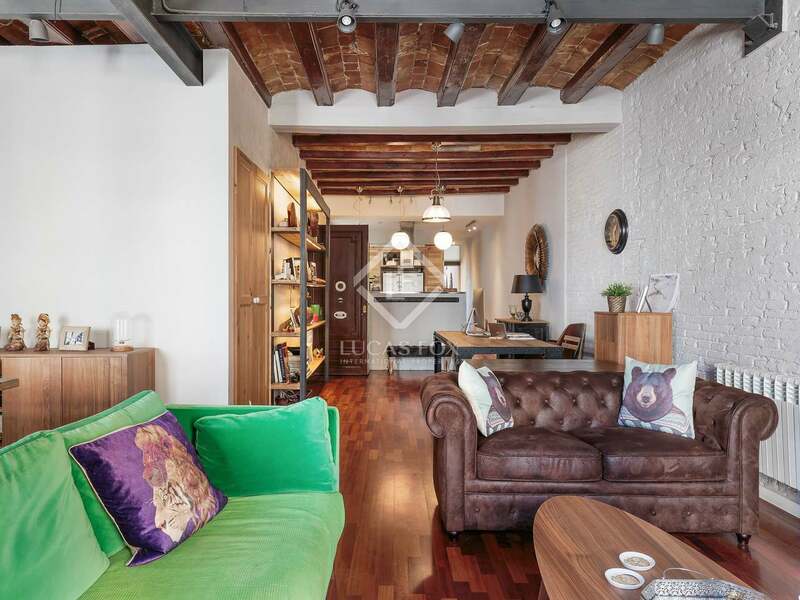 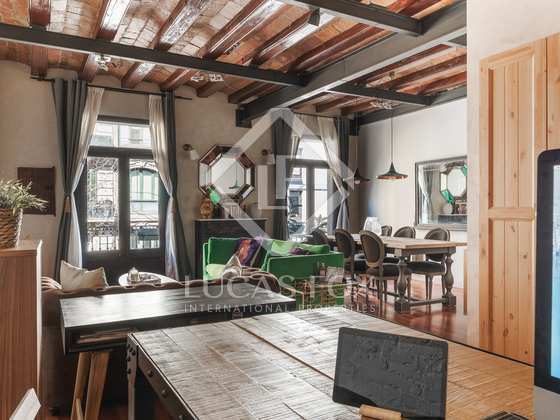 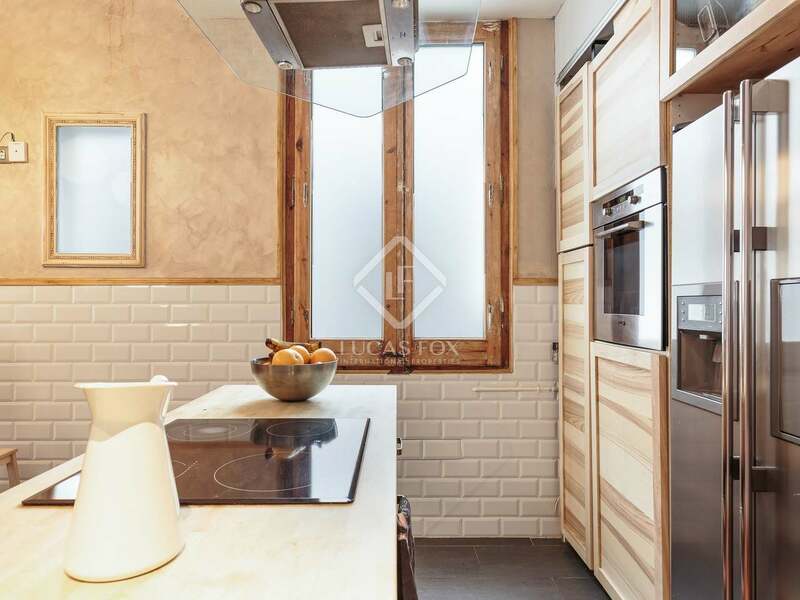 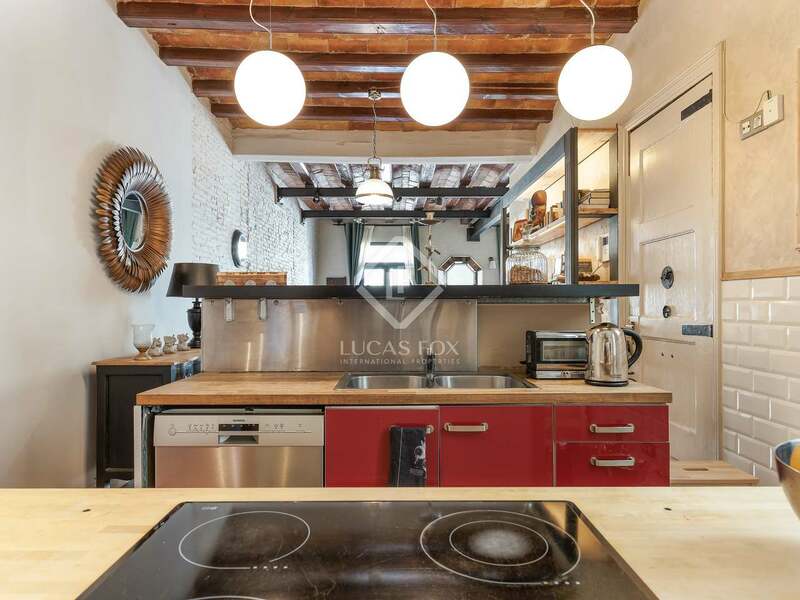 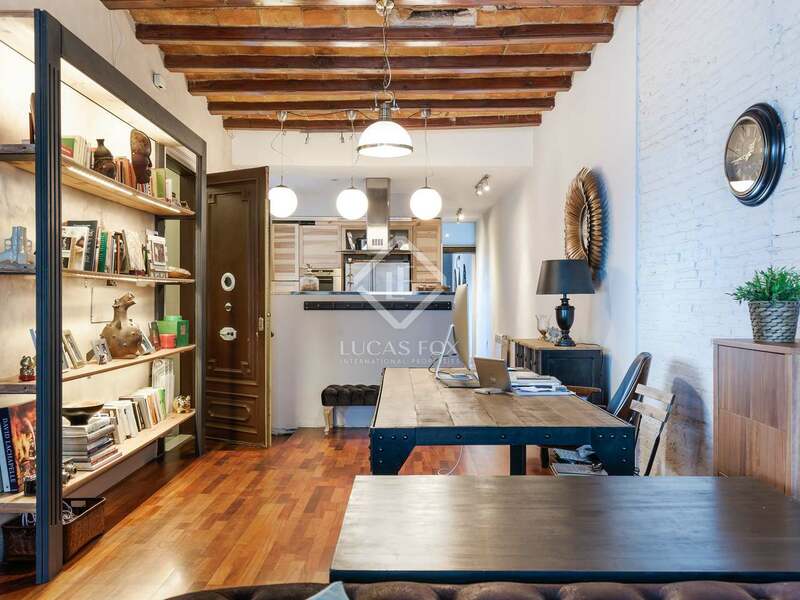 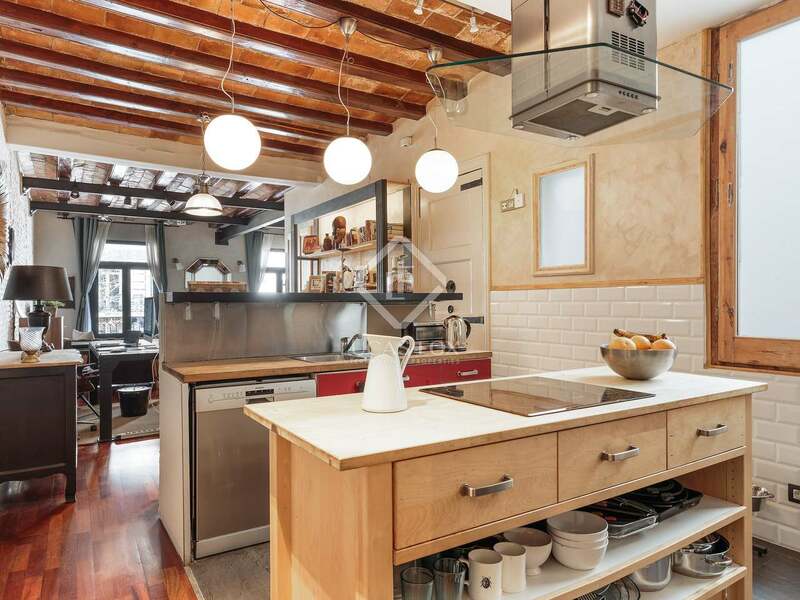 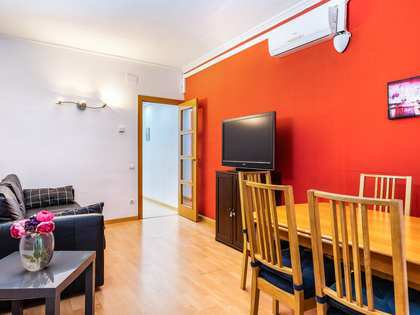 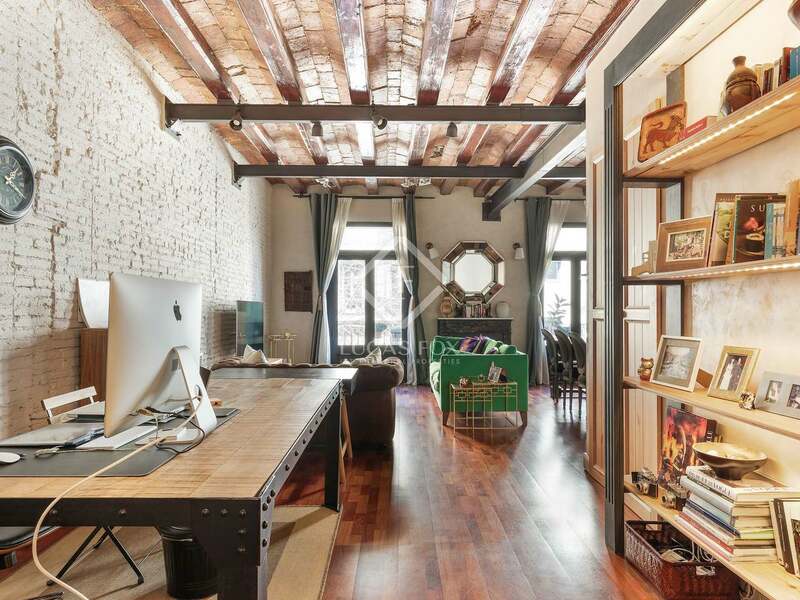 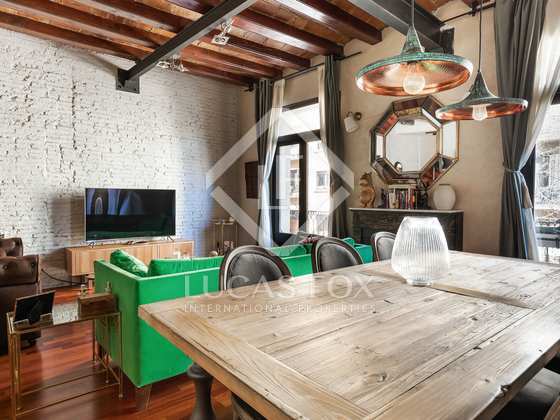 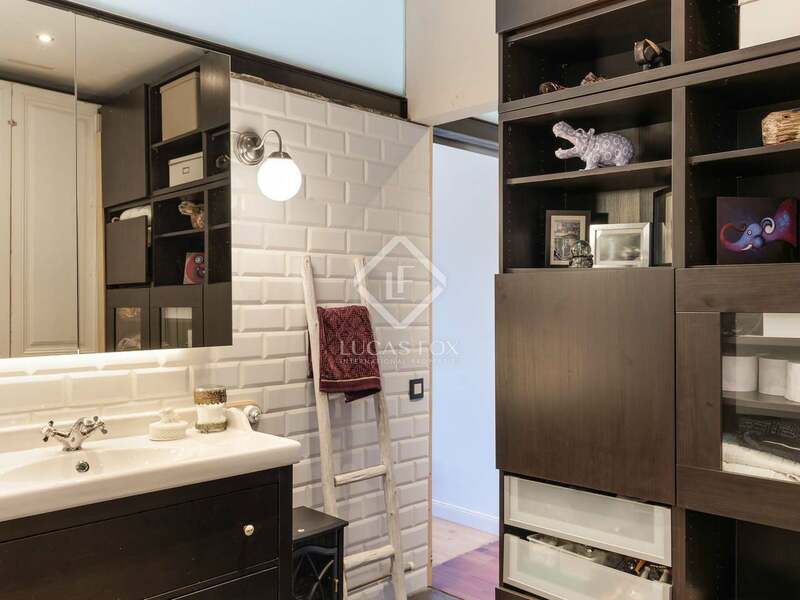 This property enjoys an excellent location in the Eixample Right neighbourhood, on Carrer Trafalgar, just a few metres from Arc de Triomf and Ciutadella Park.